Apple sold 9 million iPhone over the weekend and 200 million devices have upgraded to iOS 7 already. This means that iOS 7 is the fastest software upgrade in history. 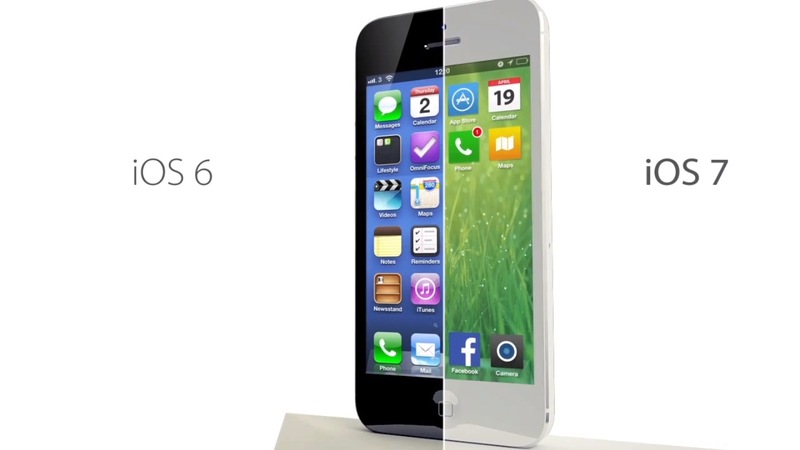 Fans of Apple’s iOS operating system can download iOS 7 on mobile devices starting September 18. Previously, rumors that Apple will launch iOS 7 on Tuesday, September 10, 2013, to coincide with the launch of two new iPhone product is iPhone iPhone 5S and 5C. Apple launched iOS 7 in Cupertino, California, United States. “Soon, we will see an event that is almost unprecedented in our industry, while millions of people downloading iOS 7 in the whole night, ” said Apple ‘s Senior VP of Software Engineering, Craig Federighi at the launch of the iPhone 5S and iPhone 5C, as quoted from the pages of CNET, Wednesday, September 11, 2013.
iOS 7 is the result of an update and redesign of Apple’s mobile operating system since the debut of the iPhone was first released in 2007. At the beginning of its introduction, Apple showed off the operating system with the iconic flat, bright colors, and transparent appearance. But in this latest version of iOS 7, Apple has completely changed the classic icons, colors, styles and textures from iOS to make it simpler yet more sophisticated. But iOS 7 is not just to improve the appearance, for Apple to add dozens of important features that make it more productive. Operating system iOS 7 contain more than 200 features, ranging from the user interface ( UI ) is a new, Control Center, iTunes Radio, AirDrop, camera features, better multitasking, battery usage management, better Siri, including the ‘ textured ringtones’. Apple has released the beta version of iOS 6 7 in mid- August, which provides a last chance to the developer to test the application on the operating system before it was introduced to consumers. Presence iOS 7 is expected to be downloaded by hundreds of millions of Apple fanboys around the world. So far iOS 7 is only compatible with the iPhone 4, iPad 2, iPad mini, and iPod Touch fifth generation. Back to my personal opinion the minus its only little bit laggy compared with previous version, the rest is totally fresh look, new menu structure and few thing it has new way to operate also the frosted UI is the best for me :).